A poll, to be published in tomorrow’s Sunday Times, puts approval for Fianna Fáil at 27%. 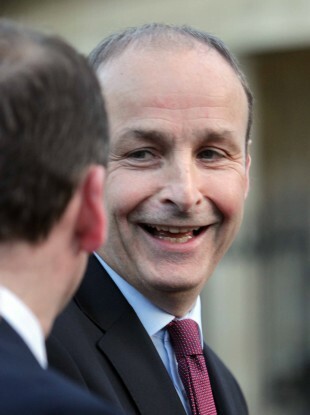 A NEW BEHAVIOUR and Attitudes poll has shown that Fianna Fáil have edged ahead of Fine Gael in the approval ratings. The poll, to be published in tomorrow’s Sunday Times, puts approval for Fianna Fáil at 27%. Fine Gael are the second most popular party on 26%. Sinn Féin follows next on 15%. Labour have had a small boost in approval since the last poll, while the Independent Alliance has dropped a point in support. People were surveyed from 1-11 May and there is a margin of error of just over 3%. Email “Fianna Fáil has overtaken Fine Gael in popularity ”. Feedback on “Fianna Fáil has overtaken Fine Gael in popularity ”.